Hold some test screenings for your own film. Chances are you haven't held nearly enough test screenings to really know how an audience will react to your film, so why not have a little festival magic of your own? See chapter one of Film Festival Secrets for more on holding test screenings, but it's pretty simple: Get a bunch of strangers together, show them your movie, and gather some opinions. It feels good and it's good for you. Here are some sample questions you can ask that I’ve found useful. Plan your festival strategy for the rest of the year. January is just the first month of the year, and there are plenty of important and prestigious festivals going on in the other eleven months. (OK, maybe not so many in December, but still.) Tip: the Spring festivals are all either closed for entries or on their late deadlines, so if you're looking to save money, look further down the line to the Summer and Fall fests. Hit the web sites and really dig deep into each festival's personality. Figure out what their previous lineups really looked like, and whether they are a festival of discovery or if they're just regurgitating the Sundance lineup each year. Submit accordingly. There's some advice here that might help. Fill in the gaps on your marketing material. Maybe your press kit isn't as strong as it could be, or your postcard needs an overhaul. Go back over all of your marketing material and figure out what you're missing. Chapter 3 of Film Festival Secrets (the book) covers this in depth. Stay tuned to the indie film news. Old stand-bys Variety and indieWIRE are good places to start, but you can find a wealth of coverage by meandering over to Google News and typing in "Sundance" or "Slamdance." One of my favorites is the local Salt Lake Tribune, which has some really in-depth coverage and a sense humor. Also: tune into the Twitter streams of folks like Basil Tsiokos, Brian Newman, and yours truly for important indie film news. Hold your own film festival in your living room. This is easier than ever with smart TVs, plug-in sticks, and mobile devices all ready to stream HD video straight to your eyeballs. In years past both Sundance and Slamdance have played current festival selections online during their fests (mostly short films), but I couldn't find a sign that either event was doing that this year. Instead, head over to Short of the Week and Vimeo Staff Picks for some of the best festival short films in recent memory. Ready to fine-tune the submissions package for your own film? 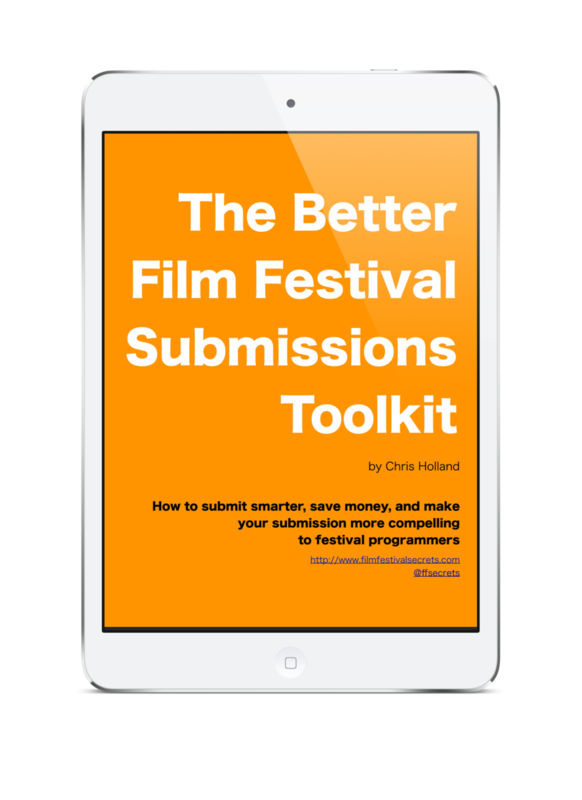 Check out the Better Film Festival Submissions Toolkit (it's free!) for tips on submitting with confidence.